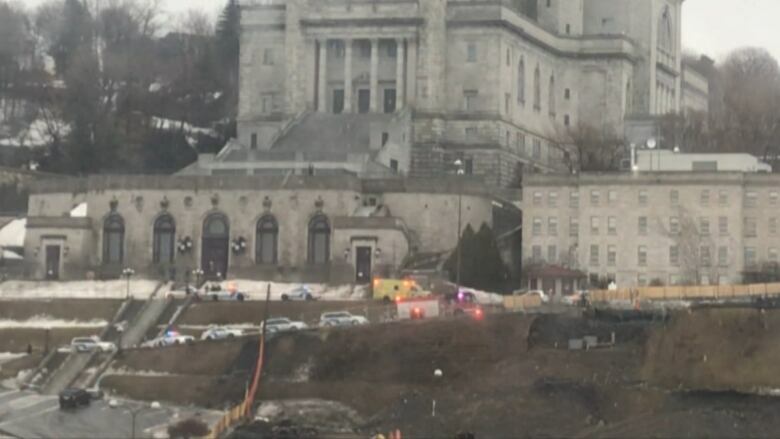 Montreal police are at the scene after a priest was stabbed during morning mass at Saint Joseph’s Oratory. The priest was lightly injured on his upper body, said Montreal police spokesperson Const. Caroline Chèvrefils. A 911 call was made at 8:40 a.m., and the suspect was already being held by security when police arrived. The suspect was taken into custody and will be interviewed by investigators later today, she said. The suspect ran at the priest from the back of the rectory and attacked him with a sharp weapon, Barbeau said. “We are waiting to hear more details about what happened and how he is,” she said. The attack was captured on a livestream provided by the oratory, which is also televised, Barbeau said.